Holly Herndon grew up in the rural foothills of the Great Smoky Mountains and claims to have been afraid of computers as a kid. Luckily for us, she shed that fear, and since 2011 has been releasing startling human-sounding fusions of avant-techno, noise, and compositional electronics. Last year’s Movement (Rvng Intl.) was one of the most ubiquitous titles on critics’ best-of-2012 lists. Justifiably so. We gave her $100 and this is what she bought. Main photo by Suzy Poling. This article is taken from the latest Spring issue of Electronic Beats Magazine. Back in the sixties a group called E.A.T., spearheaded by the artist Robert Rauschenberg and engineer Billy Clover, had this incredible idea to pair leading artists with leading engineers at Bell Labs and create new works with new technology. The performances were supposed to take place in New York and in Sweden as they were also supposed to be sponsored by the Swedish government. Well, for some reason it happened in New York but never in Sweden, so now the Swedes have decided to fund an updated version of the same thing, which I was invited to participate in. 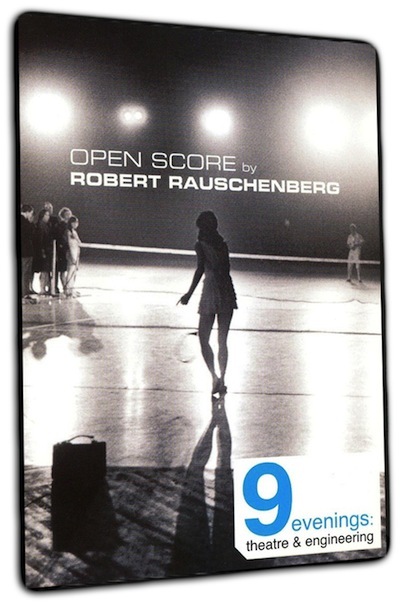 They also funded this DVD series and I’ve decided to purchase the episode featuring Rauschenberg. Now I just need to save up for the other eight episodes. The Tor Foundation is a Bay Area-based organization that specializes in anonymizing the Internet so that political activists, organizers, international whistle blowers and regular consumers like you and me can engage in online activity without having to worry about constant surveillance. Important stuff. This book deals with something I feel constantly confronted by here in the Bay Area: Whenever there’s a larger social problem here, be it political, financial or ecological, people always seem to look towards technology to fix it. There’s a lot of idealism about how all of our problems can be solved, but it usually comes without really thinking about the effect technological solutions will have on other areas not immediately related to the problem. People tend not to think about the deep intricacies of issues. 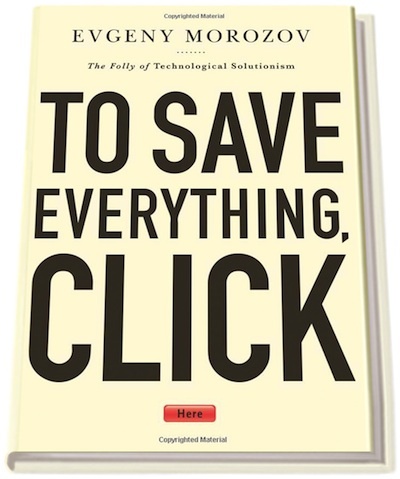 As Morozov calls it, it’s part of a surface level “solutionism”, which is an important thing to consider. The thing is, people here tend to be very intelligent, very well-educated, very confident and want to solve everything. But not doing your research first and having an opinion about something is, in my book, plain arrogance. 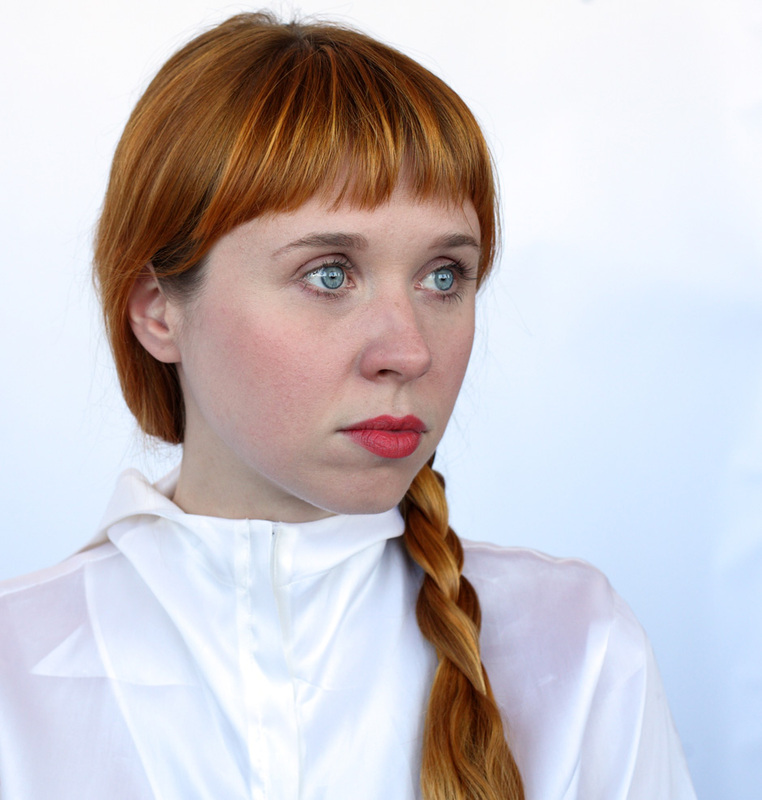 Holly Herndon performs live in Berlin with Laurel Halo, Gatekeeper, and NHK’Koyxen on Sunday, April 28th at Festsaal Kreuzberg.